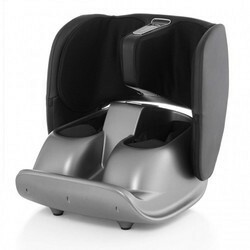 Robotouch compact foldable leg and foot massager. This product is developed by professional product R and D team. This design is elegant and also light weighted, portable. 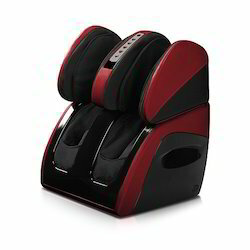 Massage mechanism design enable to enjoy professional leg and foot massage at any time. you will enjoy ultimate relaxed massage on your leg and foot while watching tv program or before sleep. ensure you to enjoy the massage joyous and carefree. 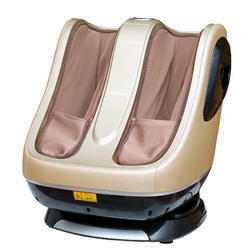 Combined various massage ways of kneading, scrapping, shiatsu, airbag press, warm foot etc. Unique calf massage and care function. Nano removable washable foot cloth cover, keep you clean at all time. Equipped with double sensitive touch panel. 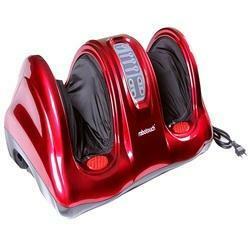 In Standard Leg Beautician Foot and Calf Massager four flexible kneading discs It vibrates and massages your feet and ankles. 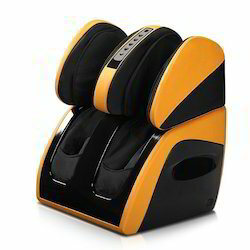 In standard leg beautician three kneading massage programs and three vibration modes Synergistic combination of kneading and vibration detachable fabric cover with zip make it easy to be cleaned LCD display. 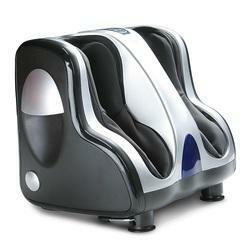 Looking for Foot and Calf Massager ?